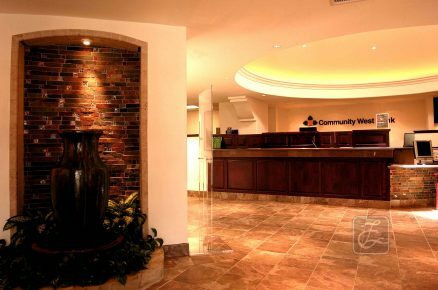 Community West Bank - Lawrence Thompson Architects, INC.
"A Special Sense of Place"
A 4,500 sq. 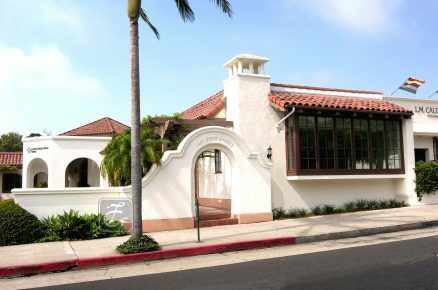 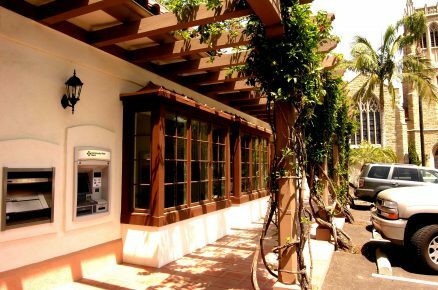 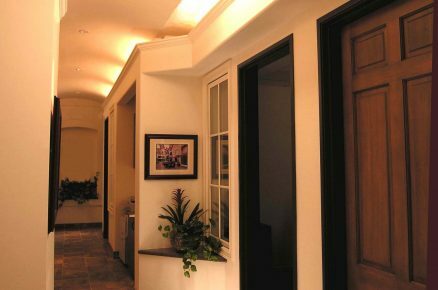 ft. remodel of an existing L-shaped building at 1501 State Street, Santa Barbara, with one side of the existing building requiring extensive structural enhancements. 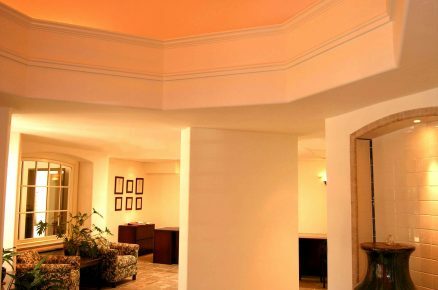 Several large domed ceilings at the Entry and Lobby area accentuate these spaces. 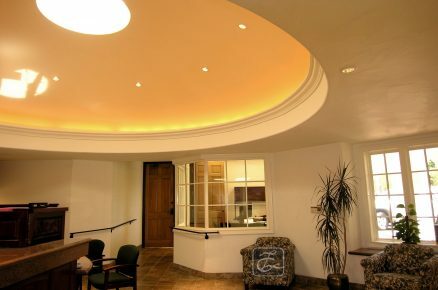 Skylights were used to create daylighting for dark interior spaces and the larger dome, and new bay windows were added to expand the space of key offices fronting the public side of the building.